We’re excited to announce a new feature release at MEDrefer. 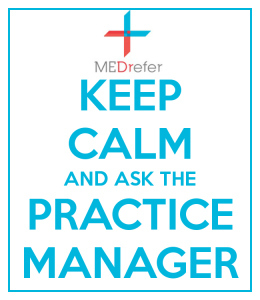 MEDrefer realises that Practice Managers play an integral role in the management and organisation of any medical practice. MEDrefer have just released an update specifically so practice managers can more easily meet their duty of care obligations for specialist and allied health referrals within their practice. Practice manager accounts have been introduced to the MEDrefer system, allowing them to accept referrals on behalf of all specialists in their practice. They can also update the clinical profile, availability and preferences on behalf of each specialist in their account. MEDrefer’s main goal is to create a streamlined referral process which fulfills the duty of care requirements and minimises all the most common complications that can arise in the referral process. Our system ensures speedy and easy communication between referring doctors and specialists. Features that MEDrefer already provides but are now opening up to practice managers include the ability to send reports and the ability to to notify referring doctors of non-attendance with one click, straight to the referring doctor’s clinical inbox. As always, our new upgrade prioritises secure data transfer and patient confidentiality while improving complete management of the referral process for the benefit of the patient. MEDrefer is the only referral system that addresses all the referral requirements, from searching for the availability and most suitable specialist right through to the final report, in one program. This is of particular value to newer specialists establishing their practice, but also helps established specialists in communicating their sub-disciplines and special interests to referring doctors which attracts more appropriate referrals. It also enhances the communication path of the referral process for both new and established practices. We’re also making a change to our payment structure after feedback from specialists. Our prices are changing to $15/month or $150/year per provider number. 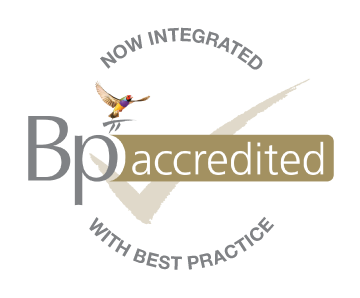 Need help setting up your new practice manager account or integrating your current specialist accounts? Our support staff are always available to help during business hours on support@medrefer.com.au or 1800 556 022. You can check out our new payment system here, or read more about our practice manager accounts here.